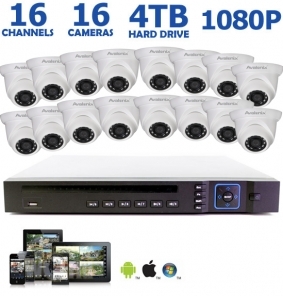 This is a complete plug & play HD security camera system. This 16 Channel HD 1080P Dome IP Camera System comes with sixteen 1080P 2MP Outdoor IP Dome Cameras and one 16 Camera NVR recorder with 4TB of storage that provides 7 days of video recording 24/7 with auto-overwrite. We have handpicked the best quality components to make sure the system provides trouble free setup and operation. Remote viewing is standard by any Apple or Android smartphone or tablet. 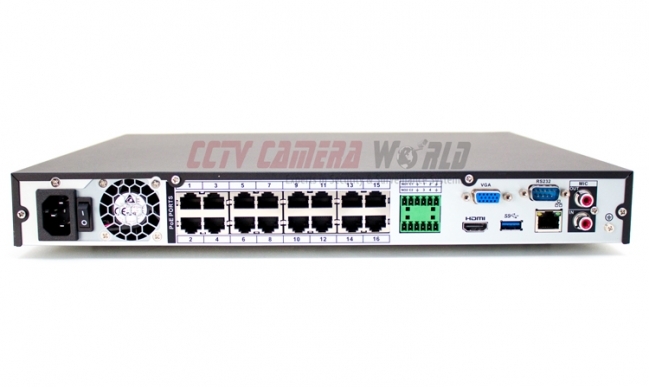 This kit comes with cameras, recorder, cabling, software, and lifetime free technical support for the life of the system. 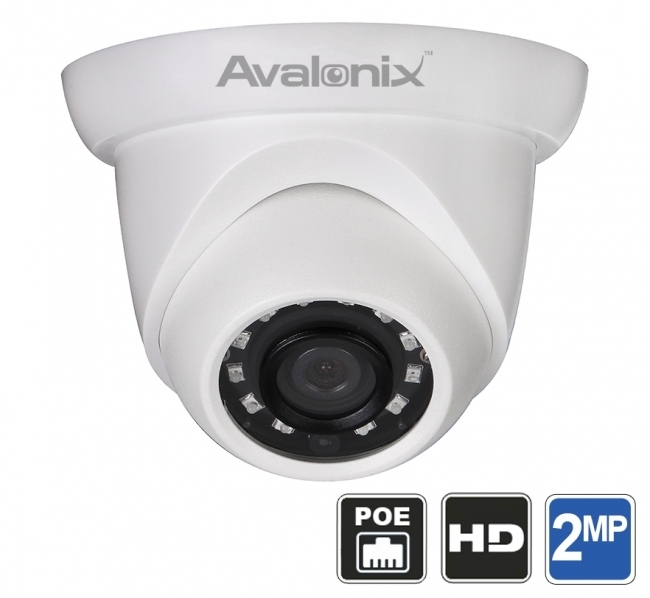 The 2 Megapixel IP cameras are weather proof rated IP67, which means they can be used indoors or outdoors without the need for cover. 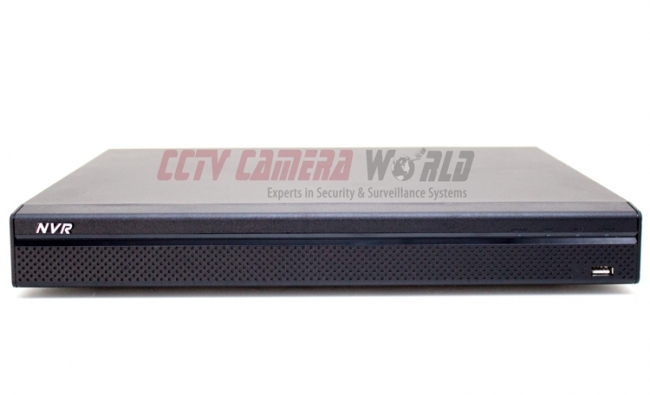 The cameras output a crisp and clear 1080P high definition video feed, and provide 100ft of night vision. The 3.6mm lens provides a 80 degree angle of view, and 1080P resolution you can expect facial clarity up to 25ft in daylight.